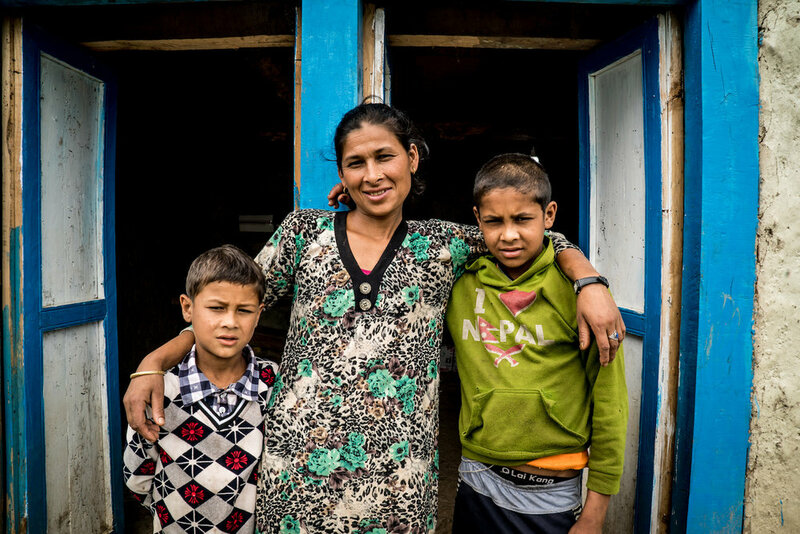 Debata, her husband and two sons signed up for Phase 1 of our ReCover Program after they had lost their home to the 2015 earthquakes. Before construction began, her husband was struck with a sudden and life-threatening lung infection. The family spent their life savings and went into debt transporting him to Kathmandu to the hospital. By the time he reached care the medical professionals couldn't save him, and Debata lost her husband. Now without any resources to join our matching program and without as much physical capacity to provide labor, Debata was afraid she would lose her option to build a new home. This gave us the opportunity to work together with her to build a whole new section of the program addressing the needs of those pushed to the margins and our single women and mothers program was launched. During this time, Debata never gave up for a moment. She knew, even against societal pressures, it was up to her to care for herself and her two sons. She continued gathering every material she could and negotiating for those she didn't have access to. She vied for her family's future and today she has a beautiful new home along side the main access to the village where she plans to start a business.